Very pretty! I also have had a tough time with layering stamps, but finally worked out Altenew's Painted Flowers, with the help of the instructions. So glad you joined us at Muse this week, Joan - nice to see you back! So CAS and beautiful. Great job on the layering. 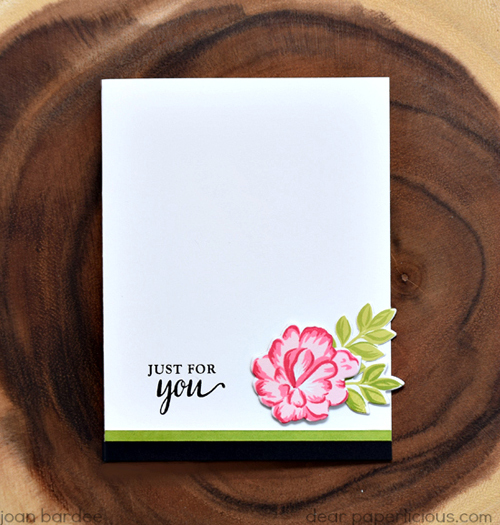 Joan this is fabulous, I have had issues with layered stamping too and yes the MISTI makes life so much easier! Thank you for sharing with us at Muse this week! Beautiful! Bright, fresh colors, perfect alignment. All that fabulous white. Love it! Awesome! Layered stamps scare the bejeebers out of me, I own some but have yet to try them. Yours is wonderful! This is just lovely Joan! The layered blooms are tricky, but you did great!! This is so pretty! I love how CAS and perfect it is! I've pretty much convinced myself that my attempts at stamp layering are "artistic". 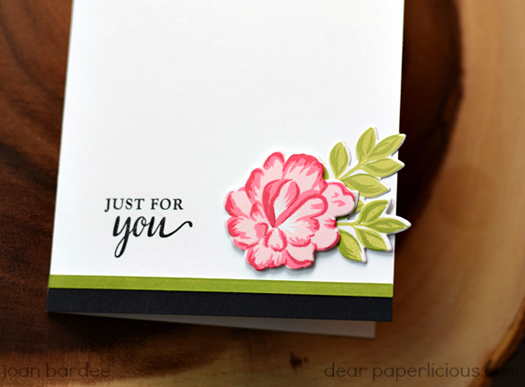 :P This flower is definitely perfect, and such a pretty card!